Dr.Sujata Ganguly: My parents supported me throughout my drop year and never let me feel like these exams were the end all and be all. Friends were crucial moral supports as well as study companions. Dr.Sujata Ganguly: It had been a childhood dream. Dr.Sujata Ganguly: Always. It is difficult not to do so, seeing the amount of competition and hard work required. Dr.Sujata Ganguly: My central focus has been class notes for all the subjects. I had read the standard textbooks eg. Davidson, robbins, ghai etc during MBBS days. Dr.Sujata Ganguly: I did not focus too much on the mcq books. Ruchi rai’s opthal book and Sumer sirs Radio book to fill in lacunae in class notes. I read AA and MK for some of the subjects. I stayed away from across. Dr.Sujata Ganguly: It was extremely important as it provided the class notes as well as a structured syllabus. Dr.Sujata Ganguly: Multiple exams are better in terms of performance as it can vary from day to day depending on many factors. But seeing how single exam is the only way to ensure a fair system, it is probably better to have a single exam. Dr.Sujata Ganguly: There was no negative marking, hence I attempted all. 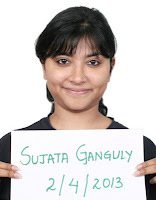 Dr.Sujata Ganguly: General Medicine from any reputed college. Dr.Sujata Ganguly: DAMS strength is its faculty. Each and every teacher was excellent in terms of explanation, notes provided and availability to solve doubts at Dams Ex Club or otherwise. I would definitely recommend it to my juniors.